In some Andromax series which launched by Smartfren is equipped with Dolby, one of them, it is Andromax C2. Because in ROM like CM11 they do not equipped with Dolby and for those who want to be able to try out the features of Dolby, Dolby is already ported to run on ROM-based CM11 and another Kitkat ROM. Dolby Digital is the result of porting from Andromax G2 Limited Edition, which has been on the patch to be run on almost any Kitkat ROM. For that we recommend to do a backup before installing Dolby ROM before you try this, because we could not try all kitkat ROM in all android smartphone. Before enabling Dolby on your device, you need to turn down your volume, because the sound will increase drastically. By installing this patch dolby then DSPManager in CM11 ROM will be erased. To keep unwanted things, Perform backup your ROM via CWM / TWRP before installing this Dolby. Any consequences caused by Dolby patch file is not our responsibility. In order to make this Dolby can run well and has good Sound Effect you need to turn off Equalizer in the Music Player. We do not guarantee this Dolby can run on android you, please try it by yourself. For those who do not work by using this tutorial, first disable signatures in service.jar with lucky patcher. You can search it on Google how to disable it. Congratulation, finally you can enjoy Dolby sound effects with great sound. 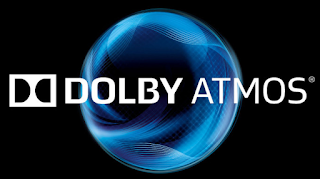 Belum ada tanggapan untuk "Add Dolby Atmos On Android KitKat"